When is it ok to flow water on smoke? What is happening at the bottom of the smoke layer? I hope this is a training fire, which is where we get some of these great shots because in an actual fire we apply water and screw up the picture. The smoke at the bottom is starting to light but the bigger concern would be what is already lighting at the top. As to is it ok to flow water on smoke ABSOLUTELY. The problem with this smoke is if has reached other areas of the structure and does light off we will have fire through out. I will say, I have yet to take part in many fire blog discussions, however I’d like to start. This is a great website and I like the simple concept. With only 5 years in the fire service, I feel a bit green when it comes to answering questions that are probably banked in much saltier firefighters brain. When it comes to flowing water on smoke, I do think it is ok. When the heavy black fire and intense heat is pinning you down or stopping your crawl, then a solid stream into the smoke to get you to the seat, or to protect you as you back out is warrented. What isnt ok in my humble opinion is the “penciling” of fire taught in most flashover simulators. We do know that the ultimate goal is to find the seat of the fire and put it out…….if it is so hot that you need to spray a solid stream into the smoke then so be it. The hose will not do its job if it is not moving and you will not put out the fire by spraying smoke, so keep moving to the seat. Adam you are correct on penciling. Unfortunately we sometimes teach things in the fire service and do not see the side effects till later. Flashover simulators are some of the more dramatic fire behavior training done in firefighter training and usually leaves a lasting impression. The problem is that the lasting impression is fire stream use in a metal box not a room full of combustibles. When we began teaching “penciling” it should have been presented as judicous use of water in direct attack for fires not requiring constant flow. Unfortunately it also developed into how not to have to completely re stoke the burn building everytime the nozzle is opened. If you watch videos of flashovers they have a common thread. After everyone comes out gear smoking etc. 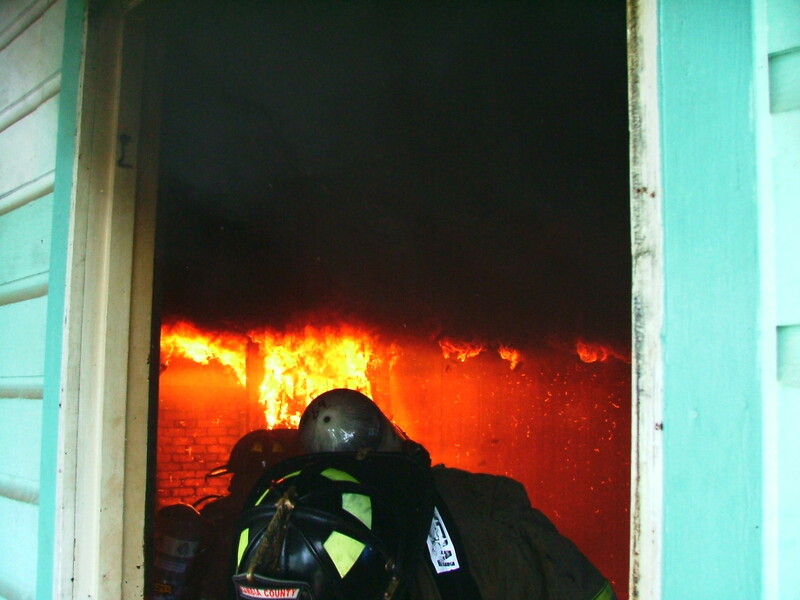 a single handline is usually goes right back in and knocks it down….